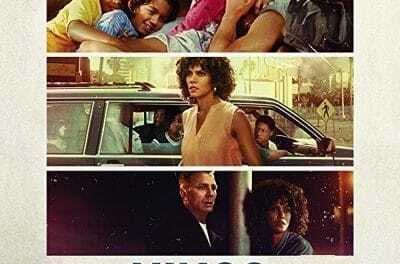 “Miss Bala” is actually a remake of an earlier Spanish-language version. But this new one is bigger on the action, violence and explosions, because – wwll – because it is a Hollywood remake. The story gets into cross-border action between the United States and Mexico, specifically in Tijuana and San Diego. The Mexican drug cartels, crooked local Mexican cops, crooked Mexican Federales, the U.S. Drug Enforcement Agency, and even the CIA get thrown into the mix. The story uses the local Tijuana beauty pageant as a vehicle to jump start a tense action thriller with a long and winding resolution. Gloria Meyer (Gina Rodriguez) works as makeup artist in the Los Angeles area. She was born in the US, but has spent much of her childhood in Tijuana, Mexico. Her best friend there is named Suzu (Cristina Rodlo), and Suzu is planning on being in the Miss Baja California beauty contest. Gloria is with Suzu when she registers, and that night they decide to celebrate at the hot local club. However, the place is way too hot. The local Federale general, who is also a crooked drug kingpin, is scheduled to attend. So a group of actual drug cartel members break in to assassinate him. This group is led by Lino (Ismael Cruz Córdova). Lino finds Gloria hiding in a bathroom, and tells her to leave quietly. The shooting starts and people scatter everywhere. Gloria looses track of Suzu, and vows to find her. The next day she goes to a local cop to get help. Instead, she is kidnapped by Lido and his henchmen. She is unwittingly brought into a plan to blow up a Mexican DEA safe house. She is terrified, and feels there is no way to escape. But when Lido make Gloria sign up for the beauty contest, she finds a way to ditch the cartel. But she is found by DEA Agent named Brian (Matt Lauria). He forces Gloria to go undercover and report to him. Or else, she will be prosecuted for the deaths at the DEA safe house. Gloria goes back to Lido and his gang of thugs. However, Lido has a new plan for Gloria. She is sent across the border with a secret stash of cash and drugs. Since she has a valid American passport, they do not question her. She meets up with another cartel henchman named Jimmy (Anthony Mackie). He tells Gloria to send a message to Lido – he has a mole in his outfit. DEA Agent Brian is told about a big transfer of weapons to happen in Tijuana. Gloria lets him know about it and they plan an ambush. A major shootout occurs in a parking lot, and all hell breaks loose. Lido and the cartel members are under fire from the DEA and from Mexican police. Gloria is told to find her own way out, so she decides to instead stay with Lido. They escape and the bad guys find their way to a new safe house far away. Gloria finds that the beauty contest will be rigged, and the judges have been bought off. Gloria will win the contest, and that will give her private ‘access’ to the local Federale general. 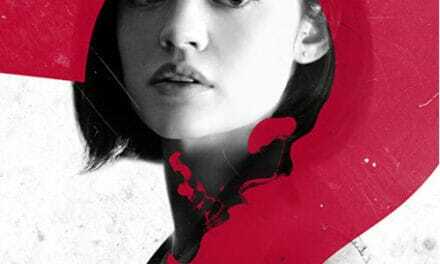 This means that Lido has a new assignation plot in the works. Gloria finds that she has the power, in the end, to find her friend Suzu and to take out some really bad guys. Oh yes, all of this while looking really hot in a tight red dress and wearing heals. The people who told Gloria one thing were hiding information, or were telling flat out lies. She had to come up with ways to escape all sorts of deadly situations. She was caught in automatic round crossfire, and she was still walking tall, never hit or even scratched. Man, that woman needs to buy a lottery ticket – NOW! Unlike other recent movies, “Miss Bala” gets about inch deep into the reality of drug smuggling and cartel operations. “Traffic” was crystal clear in showing how destructive illegal drugs can be. The movie “Sicario” gets into details about the cross-border drug smuggling operations. Even a movie the “The Mule” showed the heinous nature of the cartel methods of distributing drugs. This movie only uses cartels and Mexican Federale and DEA agents as devices to push and manipulate Gloria around the way they want. Even at the end, when it opens up a slight potential for Gloria as a continuing franchise character, someone who just be willing to do this same thing for the CIA, it is not of her free will. Director Catherine Hardwicke takes a very pedestrian approach to the movie, by setting up selected trigger events that push the story forward. It looks really good, and there is a lot of up-beat music, even during the periods where there is great danger. Gina Rodriguez is quite good, but the role gives her limited room to create a full character. She is consistently reacting to things done by other people. Her character is led around to do this and that, but she never indicates that she would do something totally different. Also playing Lino is Ismael Cruz Córdova, and he play quite a charming sociopath. He is sometimes low-key and charming, and in the next minute he can blow away a traitor in the group. He is very convincing in this role. 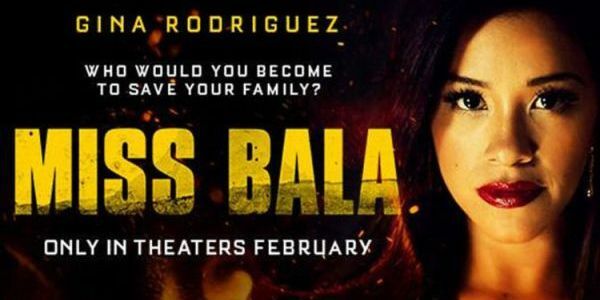 “Miss Bala” is a remake of the original Spanish-language version, but something was lost in the translation.